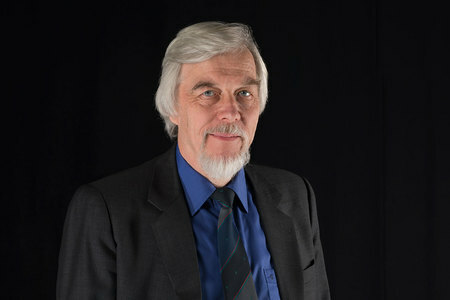 Professor Rolf-Dieter Heuer is an experimental particle physicist. He has been CERN Director-General from January 2009 to December 2015. His mandate is characterized by the start of the Large Hadron Collider (LHC) 2009 as well as its energy increase 2015, the discovery of the Higgs-Boson and the geographical enlargement of CERN Membership. He also actively engaged CERN in promoting the importance of science and STEM education for the sustainable development of the society. From 2004 to 2008, Heuer was research director for particle and astroparticle physics at the DESY laboratory, Germany, where he oriented the particle physics groups towards LHC by joining both large experiments, ATLAS and CMS. He has initiated restructuring and focusing of German HEP at the energy frontier with particular emphasis on LHC. Since April 2016 he is President of the German Physical Society. He is designated President of the Council of SESAME (Synchrotron-Light for Experimental Science and Applications in the Middle East). He is also one of the seven members of the High Level Group of scientific advisors to the European Commission’s new Scientific Advice Mechanism (SAM) which was launched in November 2015. Professor Heuer has published over 500 scientific papers and holds many Honorary Degrees from universities in Europe, Asia, Australia and Canada. He is Member of several Academies of Sciences in Europe, in particular of the German Academy of Sciences Leopoldina, and Honorary Member of the European Physical Society. In 2015 he received the Grand Cross 1st class of the Order of Merit of the Federal Republic of Germany. In 2016 he was appointed a Chevalier de la Légion d’honneur (Knight of the Legion of Honour) by the French Republic. Originally published by Jennifer Lechtanski at nanovic.nd.edu on February 17, 2017.